Step into the shadows of Gotham City’s perilous criminal underworld as DC Comics’ legendary Dark Knight in the Batman Begins™ video game. Slated for release day and date with the Warner Bros. Pictures film, Batman Begins challenges players to use fear as their ultimate weapon. 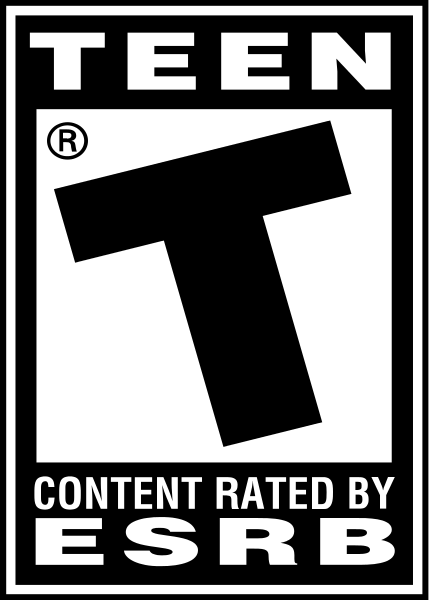 The game explores the origins of the Batman legend and the Dark Knight’s emergence as a force for good in Gotham. 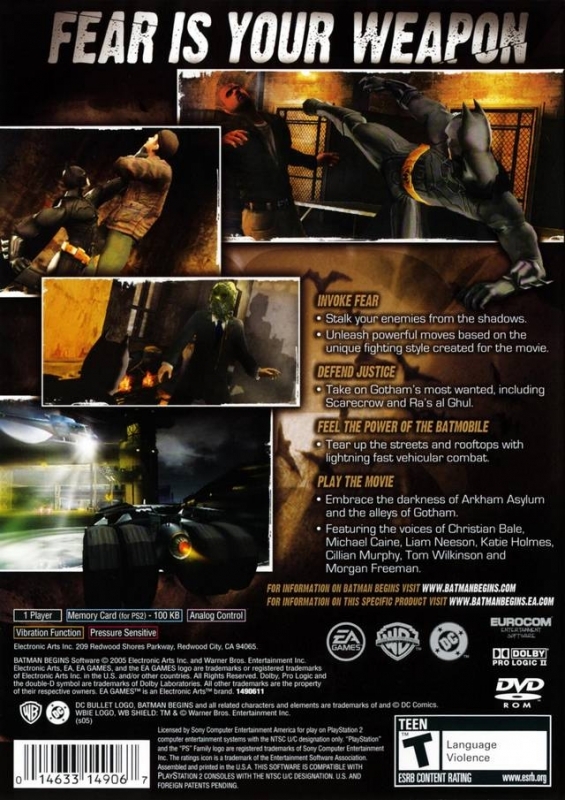 Gamers will play as both Bruce Wayne and his alter-ego, Batman, hunting evil-doers from the shadows, using strength, intellect and an array of high tech gadgets to fight the sinister forces that threaten the city, including classic villains the Scarecrow, Ra’s Al Ghul and Carmine Falcone. 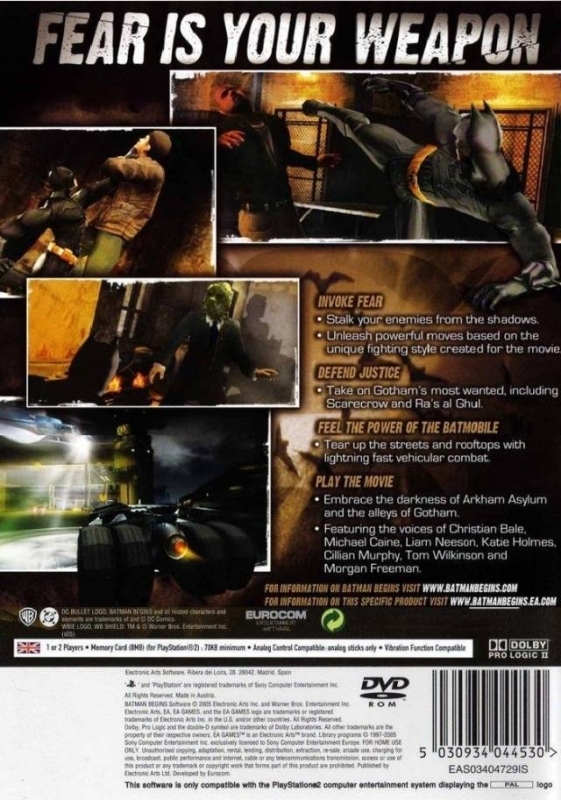 Turning traditional stealth-based gameplay on its ear – by allowing gamers to play the hunter, rather than the hunted – Batman Begins delivers the Batman universe as never before. Stalking criminals from the shadows, gamers will discover new ways to paralyze thugs with fear before engaging in hand-to-hand combat, or interrogating them. 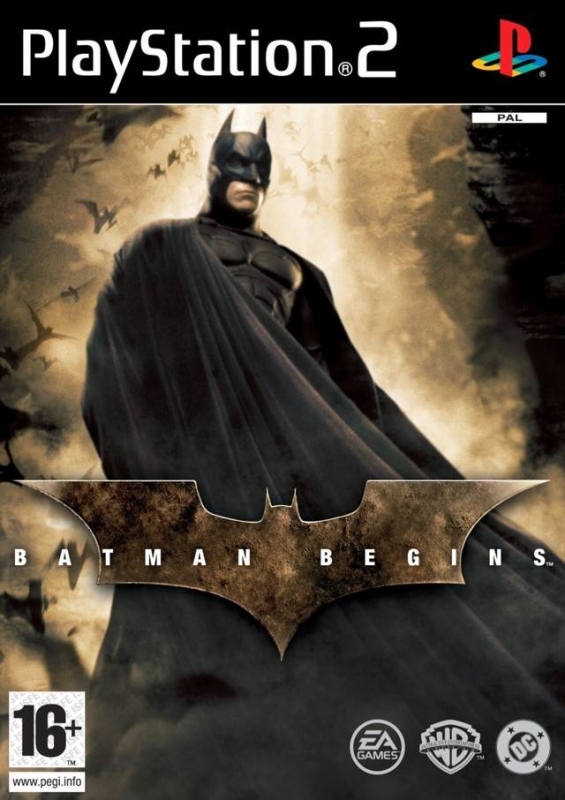 From the halls of Arkham Asylum and the alleys of Gotham City to an ancient monastery high in the Himalayas, Batman Begins the video game delivers a thrilling interactive companion to Christopher Nolan’s reinvention of the Dark Knight in Batman Begins. 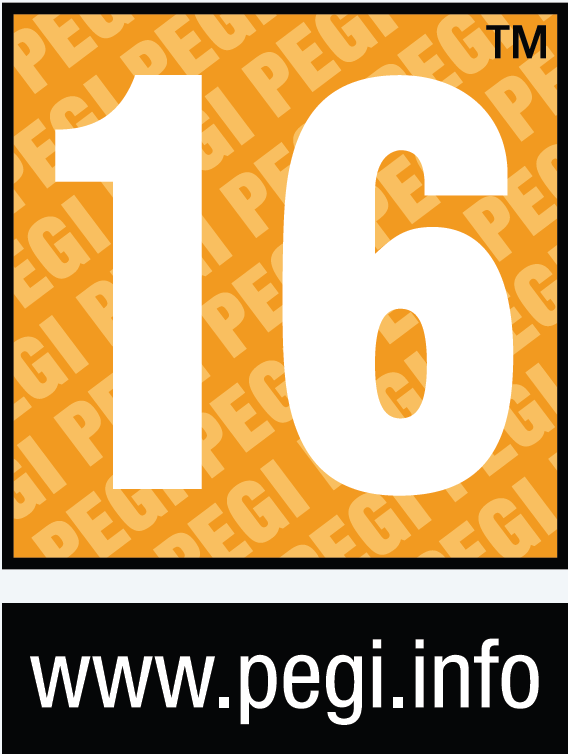 Loved it, a good movie game if you can imagine.